Deciphering spatial patterns. Can the spatial arrangement of dryland vegetation inform us about alternative states in ecosystem functioning? It is of utmost interest to find indicators of regime shifts that can anticipate drastic declines in ecosystem functionality. Our study suggest that the spatial pattern of vegetation can identify the different states of functionality found in a global dryland survey. There is a certain obsession in humans, which is particularly evident among scientists, about trying to find signs or metrics to forecast what is going to happen (Figure 1). Indeed, there is something almost mystic in knowing that a storm is coming because swallows fly higher than usual or that a tsunami may hit the coast when the water rushes away from the shore. In ecology some systems can change abruptly when they are pushed beyond certain limits. Examples are lake eutrophication1 or dryland desertification2. 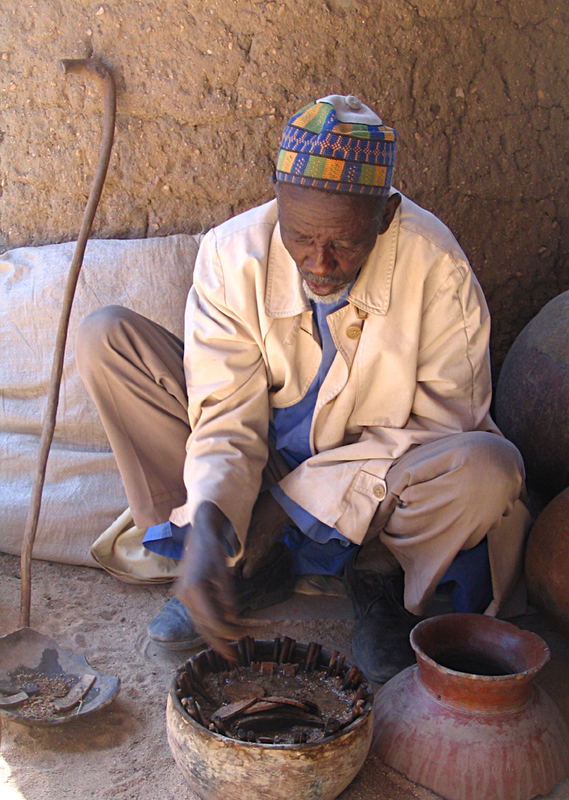 Exploring signs of these abrupt changes in nature is as challenging as fascinating, and is of paramount importance in drylands, which cover ~45% of terrestrial surface3 and host over 38% of the global population2, and where a large part of the people living on them depend on the ecosystem services they provide for their livelihood. Deserts are still pretty, indeed, but not so good if your family depends on that system to feed the cattle, right? It is in this context that, during the last decade, many scientists, including those working on desertification, have been on a quest to find signs that respond to these abrupt changes and allow us to forecast them. In drylands, one of these signs can be read in the spatial pattern of vascular vegetation. In drylands (ecosytems where the precipitation/potential evapotranspiration ratio falls below 0.65, see ref: 4), vegetation cannot cover the ground homogeneously most of the times, so it appears sparse. This means that there are patches of vegetation imbibed on a matrix of bare ground soil (Figure 2). 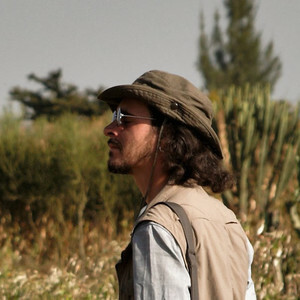 One of the scientists that was working on spatial patterns as early warning signals, Sonia Kéfi, already discovered that vegetation tends to change its organization when the ecosystem is degraded by increasing grazing 5. However, other studies have found that total plant cover is a better predictor of ecosystem functioning than vegetation spatial patterns 6. This is not surprising because total cover is a measure of how much energy the ecosystem retains and has been used for decades as a simple indicator of functionality7,8. So here we have the dilemma: is total vegetation cover or vegetation spatial organization a better indicator of ecosystem functioning? Can spatial patterns tell us something different than total cover regarding how drylands function? To answer this question, we used a global dryland database compiled by Fernando Maestre and collaborators over the last decade 9, which has involved the work of over 60 scientists from 30 different institutions working in 16 different countries. This unique database contains field data about vegetation attributes (such as cover and spatial pattern) and surrogates of ecosystem functioning (such as nutrient cycling) of more than 230 dryland ecosystems from all continents except Antarctica (Figure 3). While this database is far from perfect (e.g. we do not have temporal records, and we only measured some of the soil functions), it provides a good opportunity to explore multiple ecological questions of interest, including ours. We gathered information about the spatial pattern of perennial vegetation looking at Google Earth images from the field sites, which were validated with the plant cover data measured directly in the field. We used some simple linear techniques and consistently found that total cover was the best predictor of our surrogates of ecosystem functioning. At this point, everything seemed to look somehow trivial and I was little bit disappointed. However, looking at a graph relating aridity and ecosystem functioning we observed that there were two clear sets of sites, a group of “high functioning” sites and another of “low functioning” sites (Figure 4). This eureka-like moment changed the scope of our study entirely. 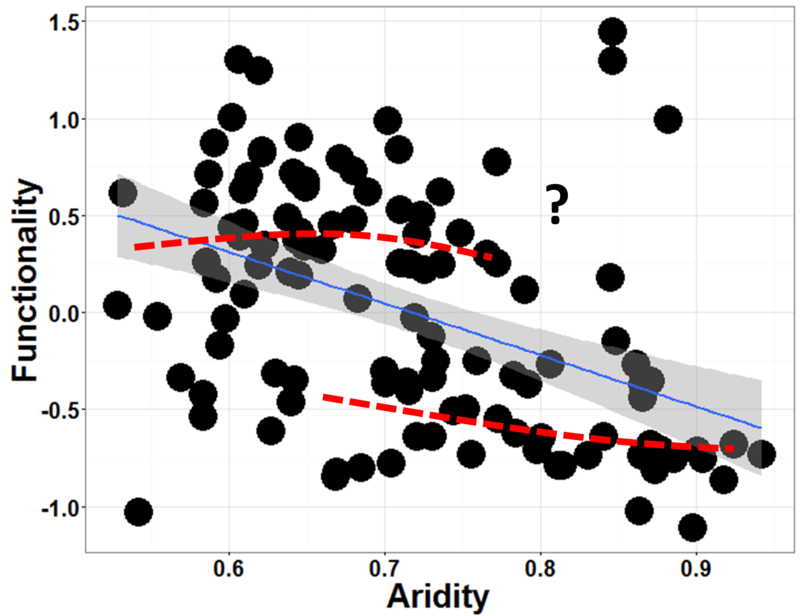 Linear regressions were not the right tool to use in our case because our surrogate of ecosystem functioning changed in a non-linear way across the drylands surveyed. We then focused on trying to estimate whether this visual impression was confirmed using non-linear statistical tools. And then spatial organization played a role. We found that patches tended to clump and create large vegetation patches fostered by facilitation in high functioning sites, whereas in the low functioning sites they prefer to avoid each other. Moreover, we found that in the low functioning sites carbon and nitrogen dominated the relationships among the different ecosystem functions explored, this did not happen in the high functioning sites, where none of these functions prevailed. You can think about drylands as a car. Power (‘cover’), and speed (‘functionality’) are related, of course. However, there are also gears, right? Spatial organization seems to work as the gears of this engine, probably by controlling the dynamics of the system through plant interactions. While more work is required to use spatial patterns as early warnings of ecosystem degradation in drylands, our results are promising and indicate that we have a new tool when studying spatio-temporal changes in the functioning of dryland ecosystems. 1. Scheffer, M., Carpenter, S., Foley, J. A., Folke, C. & Walker, B. Catastrophic shifts in ecosystems. Nature 413, 591–596 (2001). 2. Reynolds, J. F. et al. Global desertification: building a science for dryland development. Science (80-. ). 316, 847–851 (2007). 3. Prăvălie, R. Drylands extent and environmental issues. A global approach. Earth-Science Rev. 161, 259–278 (2016). 4. Whitford, W. G. Ecology of desert systems. (Academic Press, 2002). 5. Kéfi, S. et al. Spatial vegetation patterns and imminent desertification in Mediterranean arid ecosystems. Nature 449, 213–217 (2007). 6. Maestre, F. T. & Escudero, A. 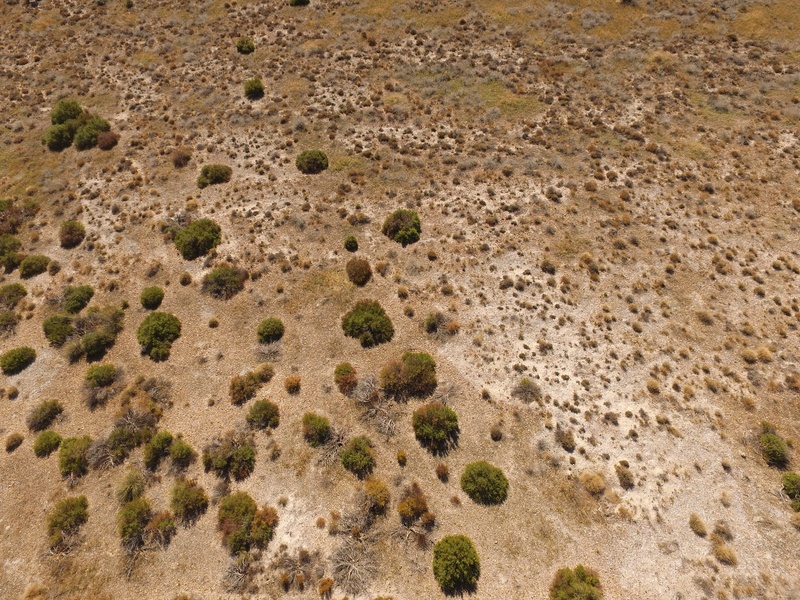 Is the patch size distribution of vegetation a suitable indicator of desertification processes? Ecology 90, 1729–1735 (2009). 7. Herrick, J. E. et al. Monitoring manual for grassland, shrubland and savanna ecosystems. Volume I: Quick Start. Volume II: Design, supplementary methods and interpretation. (USDA-ARS Jornada Experimental Range, 2005). 8. Tongway, D. J. & Hindley, N. L. Landscape function analysis manual: procedures for monitoring and assessing landscapes with special reference to minesites and rangelands. (CSIRO Sustainable Ecosystems, 2004). 9. Maestre, F. T. et al. Plant species richness and ecosystem multifunctionality in global drylands. Science (80-. ). 335, 214–218 (2012).